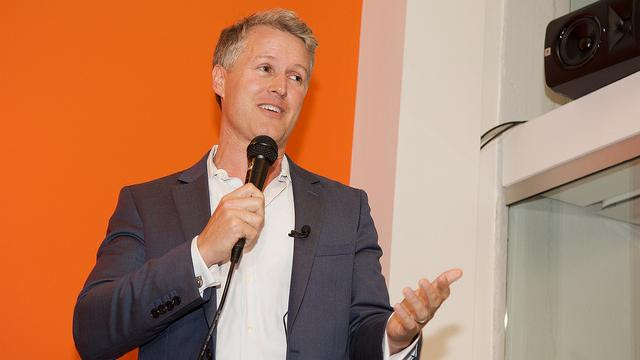 EVERFI CEO and founder Tom Davidson has some big problems to solve. The former Maine state lawmaker-turned-Greater Washington education technology executive rattled off an eye-popping list of what he called “mind-numbingly big” problems EVERFI Inc. could tackle for its future slate of online training offerings, including the opioid epidemic, bullying, sexual harassment, race and inclusion, and social justice. These issues and others are part of what Davidson said defines the growing EVERFI — an engine for social good built on top of a sophisticated software platform that can reach a potentially massive, and lucrative, customer base. But EVERFI, which works in the realm of nonprofits and education to help develop training seminars and awareness campaigns, is not the type of company that normally gets this big. For Davidson, that meant a lot of skepticism early on about the company’s ability to scale. That skepticism continued even when EVERFI landed $4 million or $5 million contracts with clients, Davidson said. Or hit $10 million in revenue, then $30 million, $50 million, even $70 million. And now, 10 years after its founding, the company said it plans to reach $150 million in revenue and double to 1,000 employees in the next couple of years — even as it eyes international expansion. “We want this to be a really big business that punches at the level of the problems we want to solve,” Davidson said. So far, it’s grown to 500 employees across three offices, though most work in the District, and about 4,000 customers, including Harvard University, Airbnb, Kroger, United Way and the NFL. It has 91 open positions right now and has brought on some high-profile hires of late, even as it lost its chief operating officer, Tammy Wincup, to its biggest investor. Next summer, it plans to relocate its headquarters to a larger space, at 2300 N St. NW, where it will occupy 58,000 square feet. So is an initial public offering on the table in the next few years? Maybe. But right now, Davidson said, he’s set his eyes on three goals: 35 percent revenue growth, high net retention and a big customer base. Certainly, not everyone has been skeptical of EVERFI’s business model. It raised about $300 million in venture funding and debt from the likes of Amazon.com CEO Jeff Bezos and The Rise Fund, which invested $190 million into the company in 2017 and counts among its investors U2 singer Bono. But at this point, Davidson said, he can barely catch his breath to consider vindication for the others. As for Davidson, he said he doesn’t plan to go anywhere anytime soon — despite getting asked multiple times to run for public office back in Maine. “I just don’t know any other job that is more perfect for what I want to do, really, for the rest of my career,” he said.